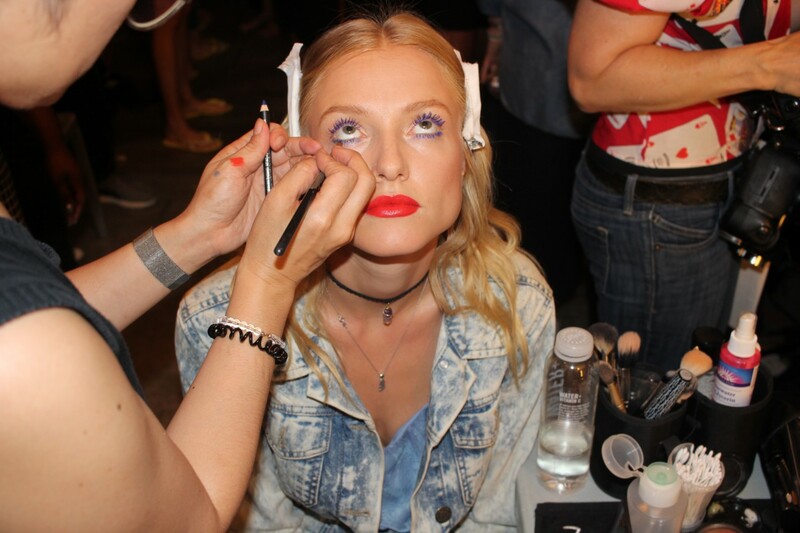 The Rachel Antonoff SS17 backstage beauty look pulled out all the stops – with cherry red lips, blue eyeliner, lacquered lashes and highlighter for days. 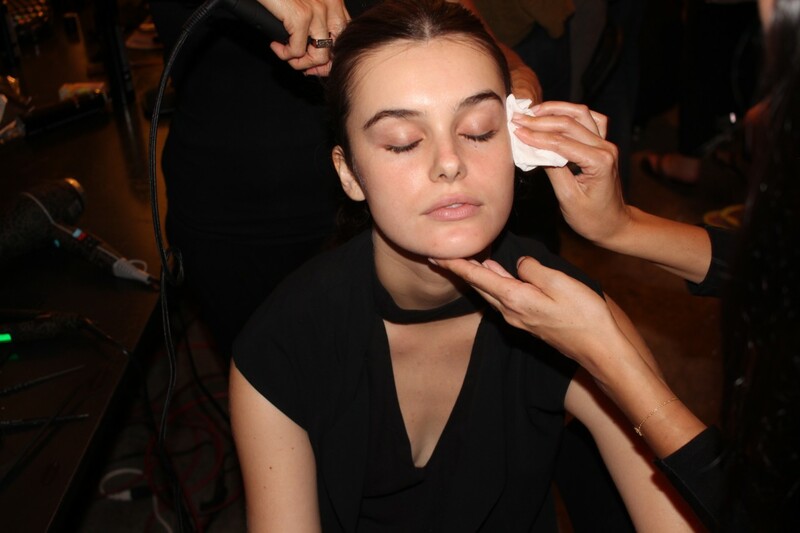 But beneath the bombshell maquillage, models were treated to a 6 step skincare routine by Skyn Iceland to ensure that every canvas was perfectly prepped and primed for the layering of cosmetics to come. 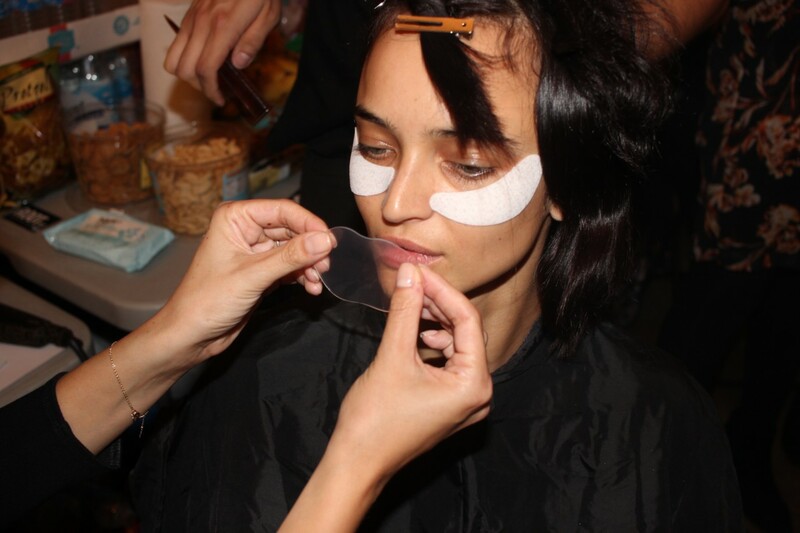 Before heading over to makeup, each model was first treated to facial cleansing using the Glacial Cleansing Cloths to remove impurities and freshen skin. Icelandic Relief Eye Cream was used along with Hydro Cool Firming Eye Gels — press-on pads that instant de-puff in 10 minutes. Since the makeup look at Rachel Antonoff SS17 was super glam, Under-Eye Illuminator also played a major role. This hyaluronic acid gel locks in moisture to plump skin and strengthen cells while also containing pearlescent pigments that reflect light and blur imperfections. Net result: eyes looked brighter and more luminous immediately (no matter how tired the models were working back-to-back NYFW shows!). Lastly, the Plumping Lip Gels coated lips for10 minutes. These clear, thin gel patches instantly hydrate, restore volume and minimize any lines. 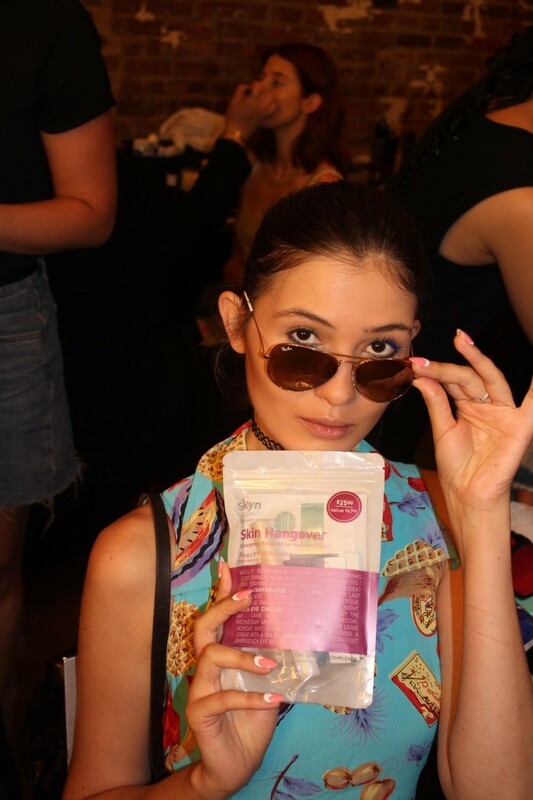 And now that fashion week has concluded and everyone may be looking (and feeling!) a little run-down, Skyn Iceland also offered its Skin Hangover Kit, which comes with 2 sets of the eye gels, the Icelandic Relief eye pen, the Antidote Cooling Daily Lotion and two Fresh Start masks. If only a real hangover was as easy to cure!! Hope you all enjoyed the SS17 collections and beauty looks!! NOTE: This post is not sponsored. All thoughts are unbiased and my own. Samples may have been provided for editorial consideration and/or my use as a professional makeup artist. All photos are property of Skyn Iceland.